The Tech Wrench: Nokia 808 PureView – A 41 MP Stupidphone? Nokia 808 PureView – A 41 MP Stupidphone? I didn't need the bed tea on Tuesday morning, because as I woke up and read the newspaper, on the front page, it said, Nokia's 41 Megapixel Camera phone, for a moment I thought I slept for too long or I was in a limo because of what I have seen as of now is upto 12mp camera in a phone. Iphone 4S, Galaxy S2, Nokia E6 all are coming with 8 MP camera and are fairing quite well. By putting Lumia 800 in, Nokia did a decent job to regain its share in the smart phone market, but with Nokia 808 PureView 41 MP camera phone, nokia has again put their dice in the smartphone market, but this time, they are riding on their old horses, yes, Nokia 808 PureView is a Symbian phone. Amazed? So was I. With a screen of 4.0 inches having 360 x 640 pixels @ 184 ppi pixel density, laminated with Corning Gorilla Glass supporting mutitouch, storing capacity of 16gb and running Nokia Belle OS with 1 GB ROM, 512 MB RAM, 1.3 GHz ARM 11. 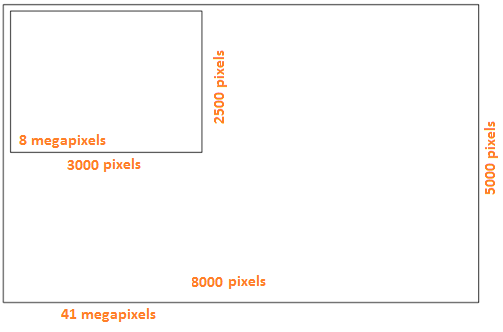 First of all, a 41 mp giant photo of 8000 x 5000 pixels would be of a humongous 62 megabytes, and that too of a RAW 12 type. A BMP would be 123mb, PNG(lossless compressed - 24bit/pixel) 16mb and JPG (100% quality - 24bit/pixel) would be about 5mb. If priced at about 30K, this phone is not a bad option if you have a Smartphone, Symbian is outdated but okay, it has ruled the market for so long, plus you wont have to buy a separate digital camera, or for that instance, an SLR. But is it so? Is nokia PureView = A Smart phone + a Great Camera??? As I am only reviewing this phone based on what I have read over the web , so the facts are, this phone doesn’t actually take 41-megapixel photos in anyway, shape, or form. Even in its special high resolution mode, It ONLY produces a 38 megapixels . In most of the case, it will be taking normal-size shots, between 3 and 8 megapixels. So what the hell does this 41 megapixel figure even mean? PureView is a five year old project, and everyone knows that five years ago Nokia was still king of the world, and other were babies. So we can not deny there 5 years of research, of course this was built for Symbian, but we just need to conclude that whether or not it would be for windows or android also. Nokia has put in all there effort in the research, and the final result is, Nokia 808 PureView, which has redefined the whole mobile phone photo system. This phone actually doesn’t take a 41 megapixel photos or for that matter 8000 x 5000 or a 130 MB photo; it collects 41 megapixels of data and uses all those details to create a very rich photo of a much smaller size of 3000x 2500 pixels which is roughly 8 megapixels. So what nokia has developed is that they click a photo @ around 8000×5000 pixels and shrink it down to something significantly smaller @ around 3000 x 2500 pixels. So, now as per nokia's equation, 41 MP of collective data = 8 MP of great quality of image (which ofcourse would of great quality and only about 5-6 MB in size.) Conclusion on their camera, GREAT. Nokia has actually won on the camera front of this smart phone, but yes its OS is outdated, no body expected them to launch a Symbian device after the WP7, but as per Nokia, they are looking to bring this research and efforts down to Windows 7 phone, so we can soon see a Lumia with an amazing camera on its back. If, in future, nokia does go with android, or if WP7 gain some market share, this will be huge plus for Nokia. Final say on its looks, good, but not too good looking. I haven't tested its performance and yet cannot comment on it, but yes, nobody would want to spend 30000 just for a camera, even if its 41 mp. But yes, its a great achievement for nokia and a very big leap in mobile phone photography, well done nokia! Final conclusion: It not a stupid phone, its a great camera and a good phone, had it been on even WP7, it would have been a tough competitor for Galaxy SII and 4S. I'm buying it because it's Symbian, doubt I'd be interested at all if it was WP. With Symbian, you also get FM transmitter, memory card, NFC, USB-on-the-go. I'd forgo all that with an inferior (but pretty) OS like Windows Phone. "This phone actually doesn’t take a 41 megapixel photos or for that matter 8000 x 5000 or a 130 MB photo; it collects 41 megapixels of data and uses all those details to create a very rich photo of a much smaller size of 3000x 2500 pixels which is roughly 8 megapixels." Wrong! It can take 38 mp stills at 4:3. And in case you didn't know, it stores images as JPEGs, so instead of a 130mb photo, it is more like 10 meg. Thanks for the update Dave, yes it does take a 38 mp pix, and as i mentioned that this was not a hands on review and was based on sources collected from web, so I believe I have missed it.